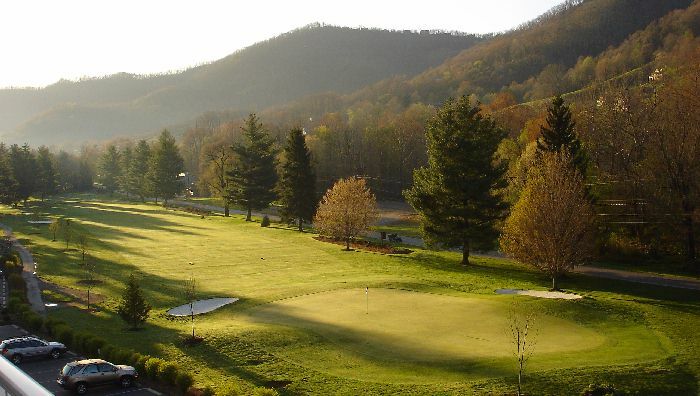 MAGGIE VALLEY, N.C. – The 19th edition of the Jane Marville Western North Carolina Junior Golf Championship takes place July 7-8 at Maggie Valley Club. The tournament, which treats junior golfers like tour professionals, is open to boys and girls from ages 7 to 17. Maggie Valley Club created the event in 1988 and it has been contested every year since, except for 2005 and ’06, when the course and clubhouse were under renovation. Jane Marville leads a large contingent of Maggie Valley Club members who volunteer for the tournament. Members serve as marshals, spotters, standard bearers and official scorers. Past participants have included Ty Tryon, Nathan Stamey, Matt Cook, Stephanie Wagstaff and Chelsea Clendenin. The entry fee for this year’s tourney is $45 per player. That fee includes two tournament rounds, a practice round, lunch and dinner both days, range balls, goodie bags, hats and prizes. Competition is divided by gender into four age groups: 10 and under, 11-12, 13-14 and 15-17. The two younger divisions play nine holes each day, while the older divisions play 18 holes each day. Deadline for entry is June 29. For information, contact Maggie Valley Club head golf professional Steve De Witt at (828) 926-6013.